Australia took the muscle car ball and really ran with it, creating cars that we all lust after but can’t have. And then, as if AFL and poisonous creatures everywhere weren’t enough excitement, they conjured up things like Summernats and Performance Car Mania where engines, gearboxes, and tires get third gear clutch dumped to eventual death in powerskid and burnout competitions. Judged by such metrics as amount of smoke, the manner in which the car flies into the burnout box, number of tire blowouts, and amount of body damage, burnout competitions are essentially automotive hotdog eating competitions in which the best car that gets destroyed the most wins. 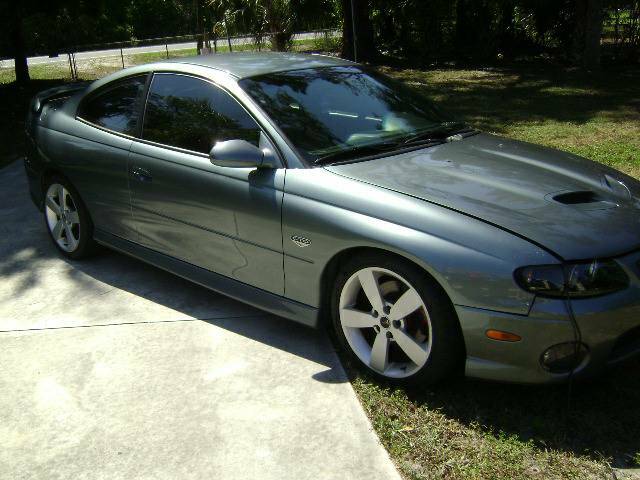 Get yourself a piece of the Aussie action with this final year 2006 Pontiac GTO on craigslist in Palm City, FL for $10,000. This post is part of DT's 2016 Birthday Celebration of 100 cars; enjoy the ride! 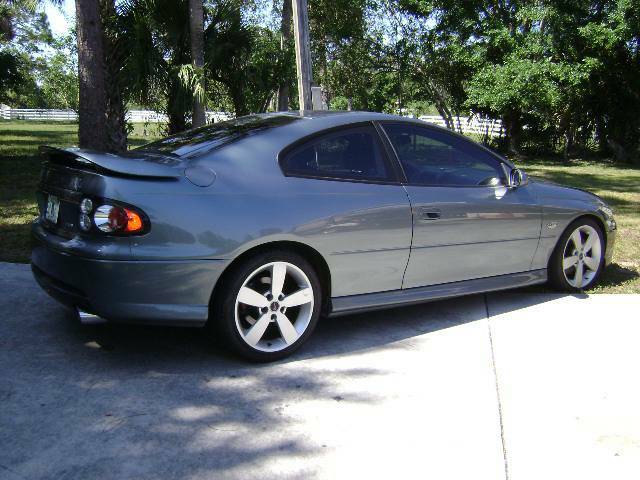 The GTO really was just a 2 door version of the VX Commodore that can trace its roots to the VT that came out in 1997. This new platform for Australia was a blown up and ruggedized Opel Omega that debuted in 1994. By the time we got them in the States, it was a decade-old car which is a lot of the reason why the automotive press was whinging about boring styling. There were a few other compromises to the American market cars that made them a bit less appealing than their ADM counterparts, a strangely shaped trunk and Pontiac design cues, for example. All that aside, the GTO was a hoon machine made for turning tires into smoke and powder. This particular GTO has a good color combo and in appears to be in pretty nice shape, however, caveat emptor on the rebuilt title. One of these passed me yesterday and sounded so good. I don't thing any non car person would even think this was a performance car. Pretty great sleeper. Also, the Trailblazer SS just came to my attention as being a forgotten about LS monster as well. Didn't know about the 7x. Very impressive! The best-trimmed of the 6-liter Trailblazer-family trucks. 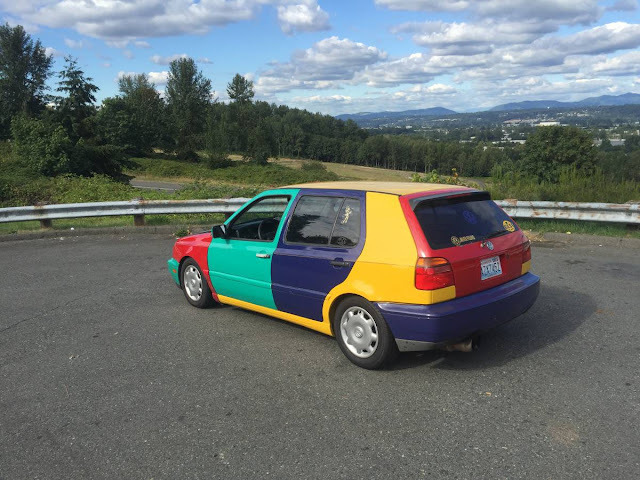 This is one of those cars where I prefer the four-door variant. As introduced in Australia the Monaro had the fuel tank under the trunk floor, which is kinda traditional car design (it's not like it was the trunk floor like a Falcon/Pinto/Mustang/Fairlane/Cortina or something) but US GM decided they had to move the tank up between the rear wheels inside the trunk. So the Monaro/GTO lost a bunch of trunk space in the translation to the US market. It's really a shame GM shackled the Holdens - which were and are, by any measure, just about the best 'traditional American' cars ever built - to a moribund brand with a reputation for turning the plastic trim up to 11. Still, the GTO is probably a future collector car. I think there's a Jungle Green Chevrolet SS at the local dealer, been meaning to go look at it. These seem like a performance bargain, prices have stayed about the same for the past few years so now is probably the time to pick up a low mileage example.